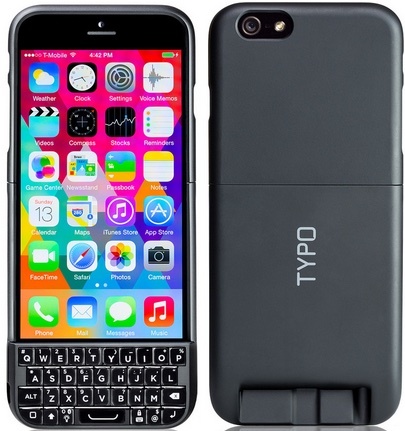 Typo Products, a company that developed a BlackBerry-esque keyboard case for the iPhone, must pay BlackBerry $860,000 for continuing to sell its Typo case despite being ordered to cease sales in March. The Typo keyboard was first announced in December of 2013 and was backed by media personality Ryan Seacrest (of American Idol fame). Seacrest reportedly invested $1 million into the product, which was the result of a desire to introduce a physical keyboard for the iPhone. According to Seacrest and his partner Lauren Hallier, they saw many of their friends carrying two phones -- one for typing and correspondence, presumably a Blackberry, and an iPhone for everything else. The keyboard that the duo developed, which snapped onto an iPhone, bore a marked resemblance to BlackBerry's signature keyboards, a fact that did not go unnoticed by the company. Just a month after the Typo keyboard was announced, BlackBerry filed a lawsuit accusing Typo Products of "blatantly" copying the BlackBerry keyboard and infringing on BlackBerry patents. A judge agreed with BlackBerry, handing down the aforementioned injunction that banned the Typo from selling its keyboards, despite Typo's argument that it was not harming BlackBerry as BlackBerry was already losing market share. Typo ignored the injunction and continued selling its Typo keyboard cases, leading BlackBerry to file a contempt of court order in August, which resulted in today's $860,000 fine. BlackBerry had initially asked for $2.6 million in penalties, plus attorneys' fees for the violation. 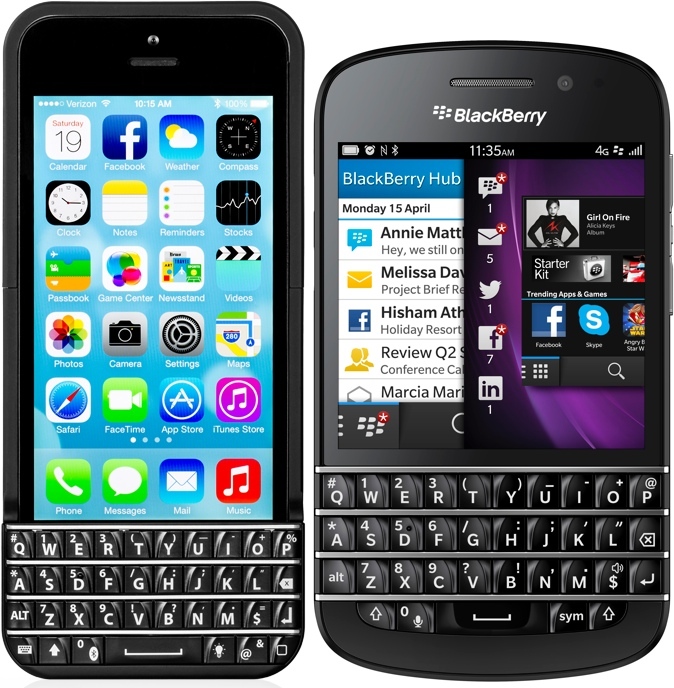 In addition to continuing to sell the original keyboard case, Typo Products introduced the Typo2 keyboard for the iPhone 6 in December of 2014, which it says does not infringe on any BlackBerry patents. Typo2 features a sleeker design with a built-in keyboard that unfortunately blocks the Touch ID fingerprint sensor on the iPhone 6. Typo's website currently sells Typo2 keyboards for both the iPhone 5/5s and the iPhone 6. In response to the fine levied against it, a Typo representative told Re/code that the ruling is "part of the ongoing patent litigation related to the initial Typo product" and that it "has no impact on the Typo 2." A BlackBerry representative only had this to say: "The court's order speaks for itself." BBRY stock up 5% on expectation that it will be their best quarterly earnings since 2007 on the back of the $840K windfall from Typo. That $860,000 is probably the most money Blackberry will make this year. Well, that will keep Blackberry going a little longer. You've gotta admire a company that names their sole product a word that literally means "mistake." I also love someone who, when accused of hurting someone, decides to argue that it's ok because they're alreay dying anyway. Typo CEO, Laurence Hallier, will probably have to pay the fine using cash, as his keyboard blocks Touch ID / Apple Pay capabilities. - The suit has clear merit. The Typo 2 redesign is the right result. - They lost the suit, as they should... but kept selling the infringing Typo 1 design anyway?? - BB is in the right here, regardless of whether they're thriving or not otherwise. - There's room for physical iOS keyboard accessories to serve a niche in the market. I'm not sure this (v 1 or 2) is the answer, though. That is one ugly iPhone case.